Author Janet Elizabeth Lynn joins us on the blog today to give us a peek at the intricacies of the co-writing with your spouse. Check out the Skylar Drake mystery series to see the results of her partnership with husband Will Zeilinger. My husband, Will Zeilinger, is also a published author. 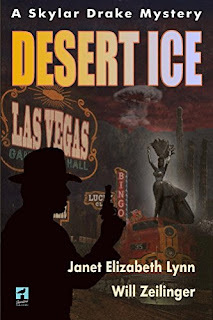 We decided to come together and write a 1950s hard-boiled mystery, the Skylar Drake Murder Mystery series. When people learned we were going to write together, they insisted it wouldn't work, and they warned that it would ruin our marriage. Concerned, we took a business approach and set rules of professionalism, respect, and patience. The first thing we did was set deadlines and stuck to them. We use a calendar starting when the book will be released and work backward. Deadlines included: chapter completion, plotting, character development, public relations... and anything else pertaining to the health and welfare of the manuscript. Today is a big day on Amazon, with huge deals available for Prime Day. So, SO MANY deals! Here's a round-up of today's best deals on Amazon devices and for Amazon Kindle. The special Prime Day deals are only available through 11:59 pm PST on 7/11/17. As always, be aware that when we include prices, they may not last and are subject to change. Please double-check before you buy. Purchase any Kindle book on Prime Day and get 40% back towards your next Kindle book purchase. See details here. Get up to 40% off 6, 12, and 24-month subscriptions to Kindle Unlimited. You can use this discount to extend your current subscription, or you can send it as a gift to a friend or family member. Get 4 months of Music Unlimited for only 99c. This is a great way to try out this service! Listen ad free on all your devices, skip those annoying songs you have to suffer through on Pandora, and download songs for offline listening. If you picked up an Echo or Tap today Music Unlimited would be the perfect companion service! Need a way to support your coffee and a book habit? A "fix it and forget it" meal so you can devote your spare time to reading instead of cooking? Check out these great deals on Ninja appliances including a coffee bar and a slow cooker/steamer/multi-pot. 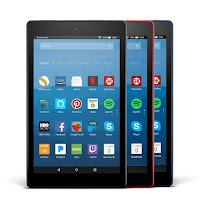 Fire 7 Tablet: The standout deal of the day is the Fire 7 tablet priced at only $29.99. I don't ever remember them being priced so low. They're available in four colors: yellow, blue, red, and the traditional black. Act fast to take advantage of this deal. If you need a tablet and accessories, pick up a bundle with cover and screen protector here. 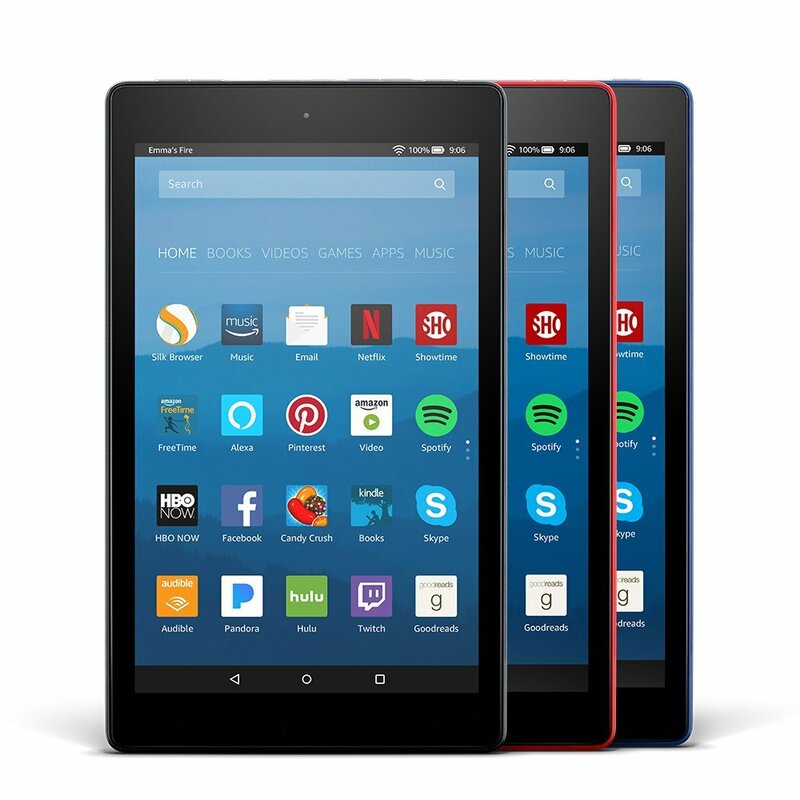 Fire HD 8 Tablet: The Fire 8 HD tablet is also available for only $49.99 Another great deal on a reliable, versatile tablet. Get a 3-pack of the HD 8 Fires for only $119.97 - less than $40 each! Amazon Echo: This hands-free smart speaker connects directly to your Amazon account for playing all of your Amazon music and easy ordering. It is available now at 50% off. Echo Dot: This low-profile, inexpensive speaker makes it easy to add Alexa capabilities to any room. Get a discounted case here. Bikinis & Bloodshed by Anne Marie Stoddard Excerpt & Giveaway! 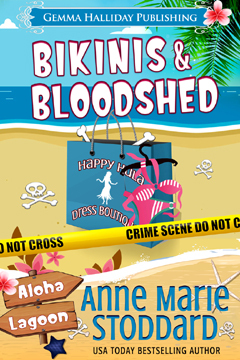 USA TODAY Bestselling Author Anne Marie Stoddard is joining us on the blog today to celebrate the release of her latest cozy mystery, Bikinis & Bloodshed, available for pre-order now and released for Kindle on July 11th! Anne Marie is offering up a $15 Starbucks e-gift card to one lucky Must Read Mysteries reader. Sounds like a perfect way to spend a summer afternoon...a delicious iced coffee and a great read! Update: Congratulations to our winner, Lisa Brown! Thanks everyone for reading, liking, and sharing! Comment below for a chance to win. Share this post and let us know for a second entry. The winner will be chosen by random number generator on Friday, July 14th. After a quick shower, I dressed for my first day as the Happy Hula Dress Boutique's store manager. I shimmied into the new tunic that I'd bought from the shop the day before. Then I applied a fresh coat of makeup and straightened my hair, carefully clipping it back so that Rikki's spare helmet wouldn't ruin it on the ride to work. Last, I slipped into my new gold sandals and completed the outfit with new gold teardrop earrings and an Alex and Ani bangle bracelet with a pineapple charm. I stepped back and admired my reflection. Cute? Check. Professional? Totally. I grinned into the mirror. Let's do this. Rikki was waiting for me in the kitchen with a steaming cup of Kona brew. "Looking good, sweetie," she said. She pushed the Styrofoam coffee cup and a brown paper bag toward me from across the kitchen table. "I brought you breakfast. I jogged over to the Blue Manu Coffee House while you were in the shower." My mouth watered as I inhaled the rich aroma of the hot drink. "Thanks." I gripped the to-go cup and brought it to my lips. Mmm. It was heaven. Opening the brown sack, I found a fresh macadamia nut muffin inside. I quickly polished it off before following Rikki out to the driveway. I grudgingly strapped on the helmet and climbed onto the back of the Vespa. I'd have to get a car of my own—hopefully sooner than later. If I sold my wedding band and engagement ring, I was sure I could afford a down payment on something reasonable. Anything but a Vespa, I thought, flinching as we shot down the street on the little scooter. A short drive later, we parked in the employee lot of the Aloha Lagoon Resort. When Rikki removed her helmet, I saw that she was frowning. "Louana's car is here." She gestured to a green Corolla a few spaces over. My aunt chewed her lip. "She stormed out without returning her shop key yesterday. I hope she's not here to stir up more trouble." My gut tightened as I stared at the little green sedan. It would be just my luck that the angry woman would show up to cause another scene before I could even clock in for my first shift. As Rikki had suspected, the front door to Happy Hula was already unlocked when we arrived. She cautiously pushed it open, and we both peered inside. The shop was empty. We did a quick search of the sales floor, and then Rikki checked the cash register. Thankfully, nothing seemed out of place. My aunt blew out a breath. "I was half expecting to find the place ransacked," she admitted, sounding relieved. Rikki gestured to the wastebasket behind the counter. "If you wouldn't mind collecting all of the trash from the bins around the store, that'd be great. There are bags in the supply closet beside my office. Once you've emptied all the bins, you can carry the bag out to the dumpster behind the store. I'll be back in a few minutes," she called over her shoulder as she started for the door. I made my way to the supply closet and retrieved one of the large trash bags. The shop's wastebaskets were located behind the register, in both dressing rooms and bathrooms, in Rikki's office, and in the storage room. I emptied the contents of each bin and then tied the large trash bag closed before heading toward the store's back exit. The rear door to the boutique was located through the stockroom and opened to a small alley behind the row of courtyard shops. I carried the bags into the alley, wrinkling my nose as the sour odor of garbage hit me full in the face. I held my breath against the stench emanating from the trash bin and walked toward it as fast as my sandals could carry me. After heaving the bag into the dumpster, I dusted off my hands and turned to hurry back inside. Something glittering in the sunlight caught my eye, and I spun on my heel, curiosity drawing my attention downward. A sparkly green blouse lay on the ground near the corner of the dumpster. Frowning, I took a step toward it. I recognized the top from one of the racks near the front of Happy Hula's sales floor. Lying several feet away was another garment: a pair of red and white striped bikini bottoms. I crinkled my nose as another wave of the putrid scent of garbage lifted past my nostrils. Holding my breath, I moved toward the clothing, halting when I spied a woman's flip-flop on the ground. It was black with silver rhinestones on the strap. Something about seeing the lone shoe without its owner gave me the creeps. A finger of dread tickled my spine, and I shivered despite the warmth of the June morning. I shook off the weird feeling and stepped around the corner of the dumpster to collect the blouse and bikini. A light blue Happy Hula shopping bag was overturned on the ground next to the garbage bin. Several other dresses and sarongs were scattered about, littering the alley. My back stiffened. Who would throw away all these clothes? I stooped to retrieve the sparkly green blouse, pinching it between my thumb and forefinger as I lifted it. I immediately dropped the shirt back to the ground. The other black flip-flop was beneath it. The shoe itself didn't startle me—it was the fact that it was still attached to a foot that sent me scuttling back a few steps. Alarm bells went off in my head as my gaze traveled the length of a woman's bare calf and then up toward the side of the dumpster. A horrified scream clawed its way out of my throat. Louana Watson's lifeless body was slumped against the garbage bin, a hot pink bikini top wrapped tightly around her throat. Anne Marie Stoddard is a USA TODAY Bestselling Author, iBooks Bestseller, Amazon Mover & Shaker, and Amazon Top 100 Author. 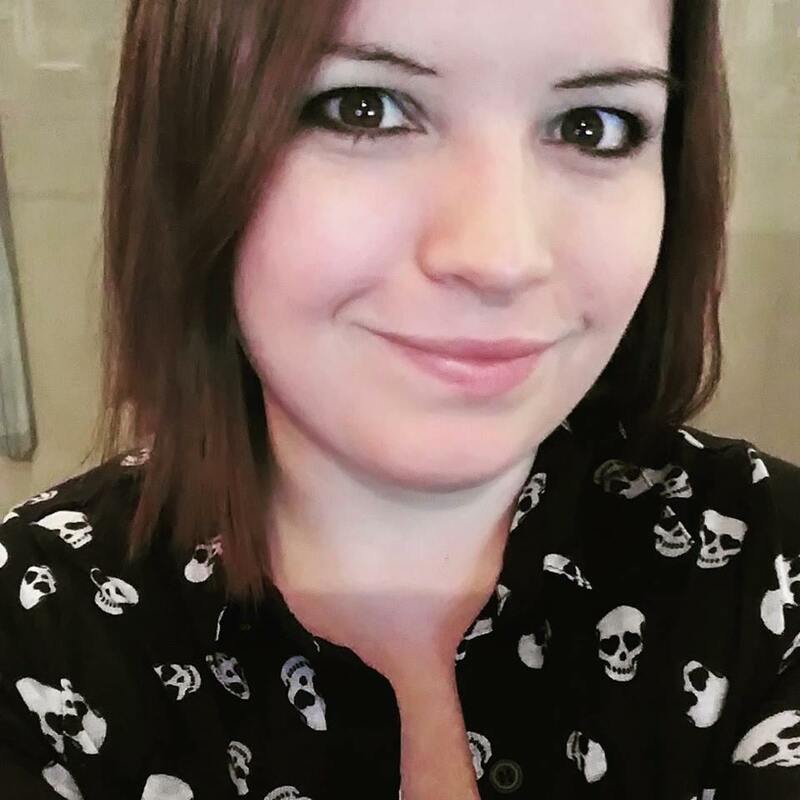 She writes supernatural thrillers and cozy mysteries with an edge, many of which are based on her experience working in radio and at music festivals across the U.S.
Aside from writing, Anne Marie loves her dog (Bowie), college football, hula hoops, music, coffee, and anything pumpkin-flavored. Here's a round-up of today's deals for Amazon Kindle. As always, be aware that when we include prices, they may not last and are subject to change. Please double-check before you buy.